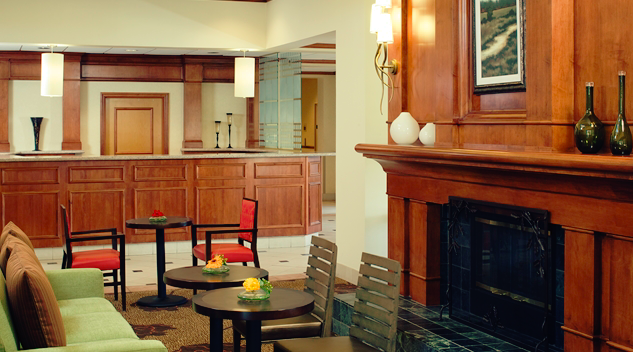 Hilton Garden Inn Dallas/Allen Make your day hotel stay enjoyable and comfortable by booking your day stay at Hilton Garden Inn Dallas/Allen. 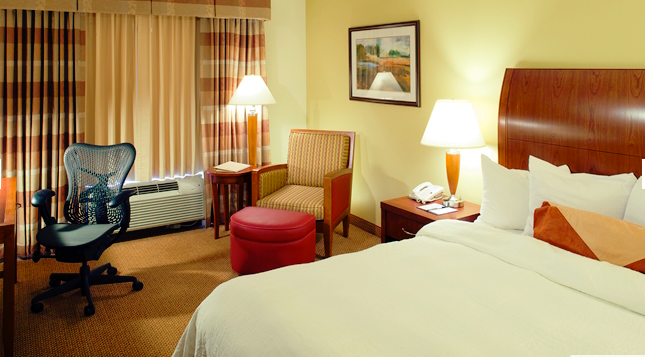 Convenient location off the Central Expressway in North Dallas, Hilton Garden Inn offers perks of comforts and luxury. Located in Allen, the hotel is surrounded by many shopping centers, restaurants, cafes and entertainment options. 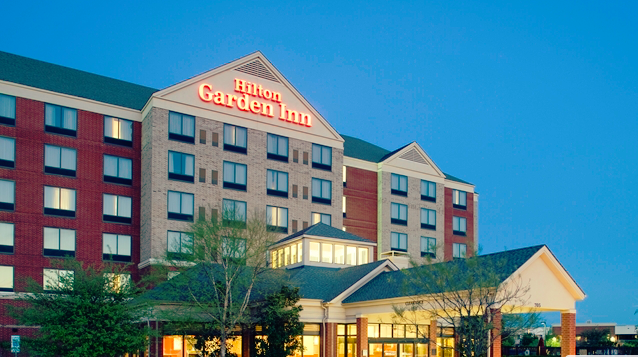 Ideal for both family and business trips, Hilton Garden Inn welcomes its guests for a memorable time in the city. 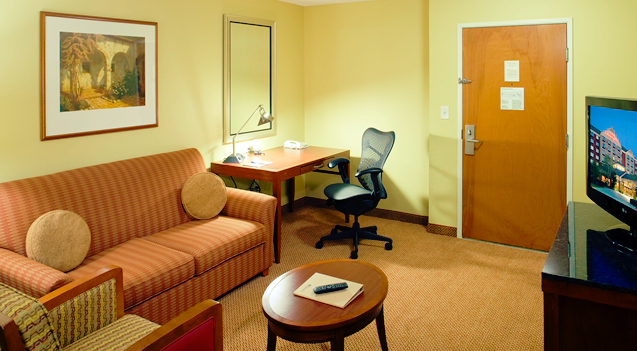 Book the hotel room for few hours, while enjoying a fulfilled daycation from the usual routine. With many local attractions in the neighborhood, Allen has lots of fun spots for the entire family. Explore this happening area in North Dallas or head to the vibrant downtown within minutes. 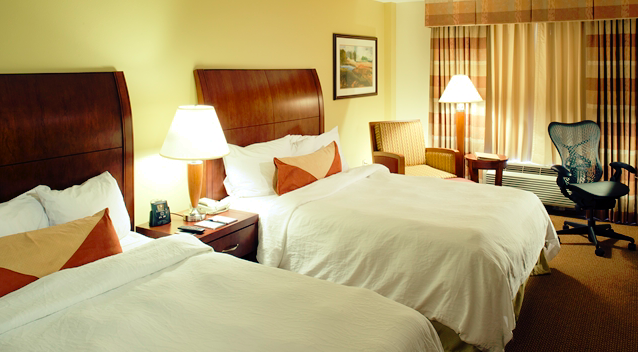 The hotel offers many guest rooms and suites for its guests. 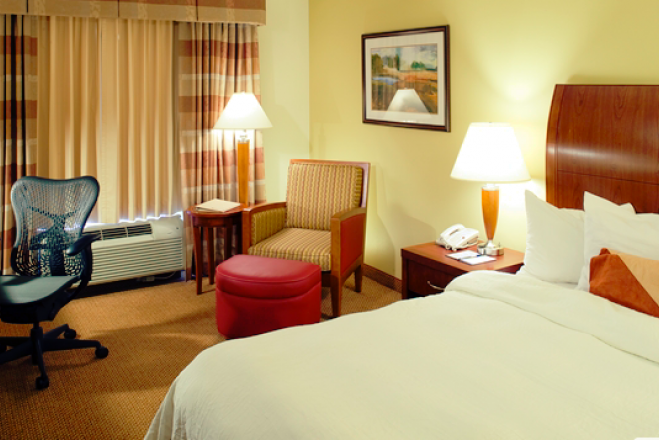 Every room is designed with comfort in mind. The rooms offer Free Wi-Fi, flat screen TV, coffee maker, microwave, hair dryer, iron and ironing board, en-suite bathroom and comfortable bedding. 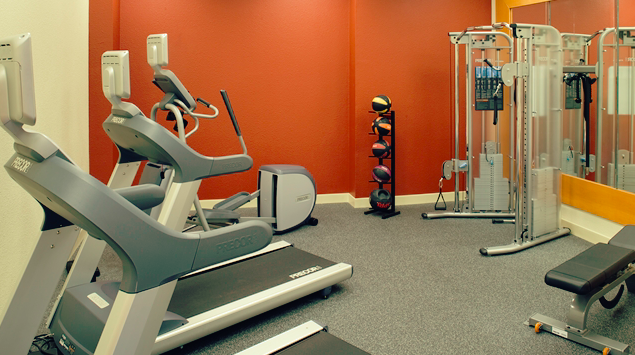 Relax in the heated swimming pool before flexing muscles at the fitness center. The hotel also houses a fully-equipped business center with fax, printing service, Wi-Fi and computers. Avail facilities such as laundry, local area transportation, convenience store, safety deposit box, ATM and luggage hold at the hourly hotel. 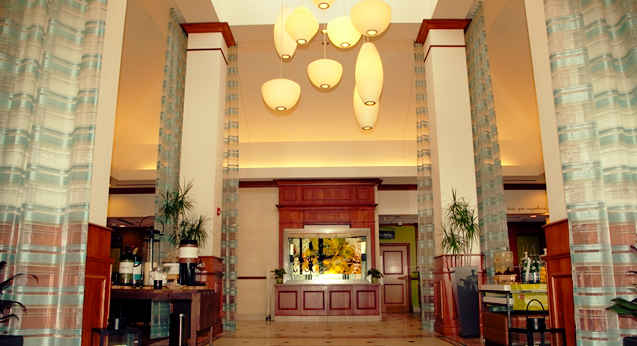 Due to its central location, the hotel saves valuable time during a day stay. Few minutes from the Allen premium outlets, Allen event center, ice skating rink, Watters creek and Heritage golf club, it offers easy access to variety of options in the neighborhood. Make the most of a relaxing daycation in the Texan city, while relishing some gourmet cuisines and local delicacies. Watters Creek at Montgomery Farm – Spend some fun time at this scenic shopping mall, few blocks from the hotel. It houses variety of brands of fashion, clothing, accessories, electronics, home goods and much more. It also offers loads of dining options and a kids’ play area. This experience is ideal for the entire family, offering something for everyone. Oak Point Park and Nature Preserve – The largest park in Plano, this 800-acre nature preserve has long trails, pond, lawns and numerous trees. It provides good natural relaxing ambiance within the city. Less than three miles from the hotel, it is an excellent spot for picnic lunch or an evening stroll. The pond is open for boating, kayaking, canoeing and stand up paddle boating. Allen Event Center – Hosting variety of shows, live performances and events all through the year, the Allen Event Center is an exciting spot in the neighborhood. There are many dining options near the location. It also offers an indoor ice skating rink with storage rooms, rentals, lockers and training programs. Heated pool on hotel premises.